We’re willing to bet you’re all about that spiked hot chocolate and hot toddy life during the colder months, but we’re about to rock your world with a whole new treasure trove of winter cocktails. 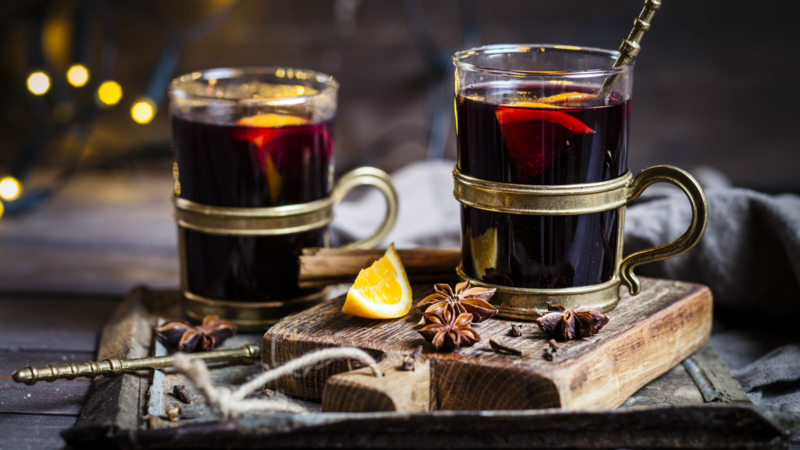 Mulled wine may sound like a nasty drink they guzzled back in the Middle Ages, but it’s actually a truly tasty drink that’ll warm your cold winter bones — and give you a pretty healthy buzz in the process. Mulled drinks vary in their ingredient lists, but the process of making them is pretty much the same. Add a combination of wine, juice, liquor and aromatics to a pot, and simmer until fragrant. The longer you simmer, the stronger the flavor of the spices and add-ins will be. In general, 20 to 30 minutes of simmering is ideal. Strain, and serve in a mug you can wrap your hands around to keep warm. Here are 10 tempting booze brews to try out all through the winter season.